Love a good scare on Halloween? Some people do, except, of course, when it comes to child safety. 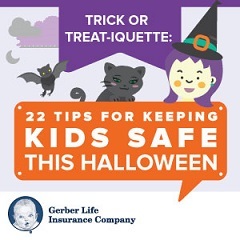 According to Safe Kids Worldwide, only one-third of parents surveyed plan to speak with their kids about Halloween safety, even though three-quarters of them reported having concerns about the safety of their children. 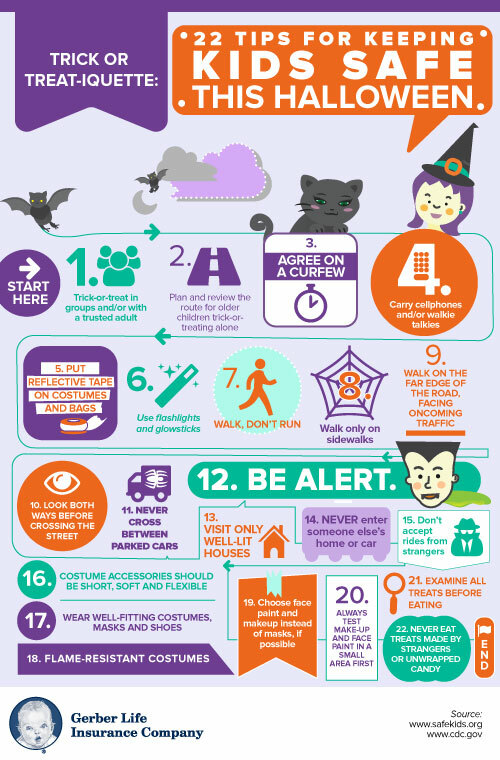 Halloween is just around the corner, so take a moment to explain to your child your expectations for Halloween Eve and to discuss simple precautions that can make it a fun and safe night for the entire family. To start the conversation, use the tips in the accompanying infographic. We compiled the safety tips from Safe Kids Worldwide and the Centers for Disease Control and Prevention(CDC), and added some of our own. Do you have additional tips to add to the list? Share them with us on our Facebook page!